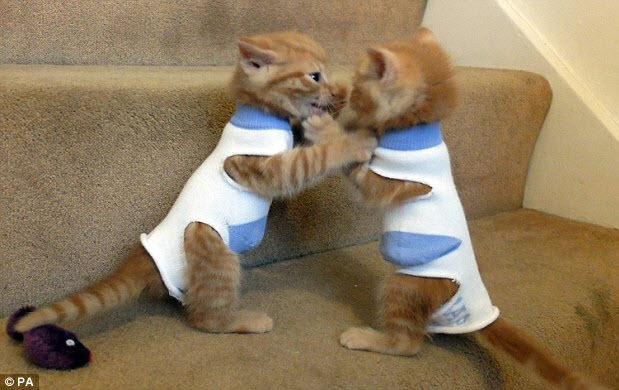 Use socks to keep your kittens from getting hurt as they play fight or grow out of bad habits like suckling one another! Get a pair of ankle socks that are a good size for your kittens. Cut off the toe area of each sock. Cut a hole from either side of the neck of the socks for your kitten’s arms, and another hole from either side of the arch of the sock for your kitten’s legs.